Los angeles : What do you do when you are heartbroken? Well, after the terrific failure at US elections 2016, Hillary Clinton decided to go hitchhiking. 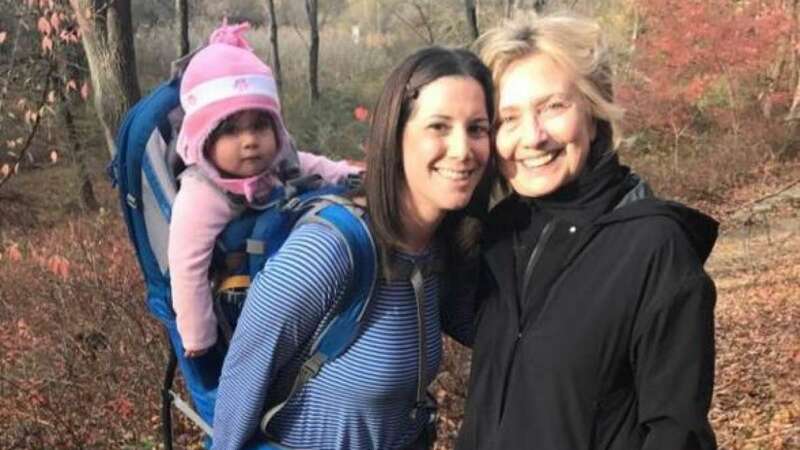 The Former Secretary of State coming out of the woods came as a surprise to another “heartbroken” Clinton supporter who decided to take her daughter for a hike in New York’s Westchester County on Thursday. Hillary lost the Presidential Elections to Donald Trump on Tuesday in a nail biting victory. It seems, Hillary decided to relax herself after the tough campaigning and the visit came as a surprise to both. As seen in the picture, a smiling Clinton, dressed in all black, posed for a photo with Gerster and what appeared to be one of the former first lady’s dogs at her feet. No public appearances have been Clinton since Wednesday morning, when she gave her concession speech at a Manhattan hotel.